Talk about gorgeous! 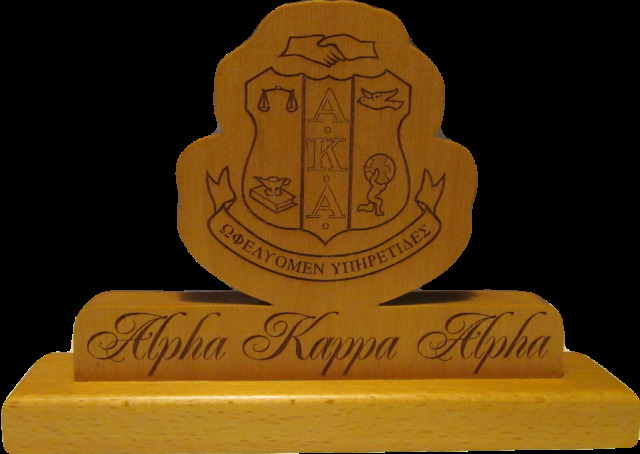 These desk plaques are handsomely laser engraved with your group's crest and formal script letters. Draw immediate interest to your desk or bookshelf with this statement piece. The base measures almost 10" wide, and each plaque stands almost 7" tall.